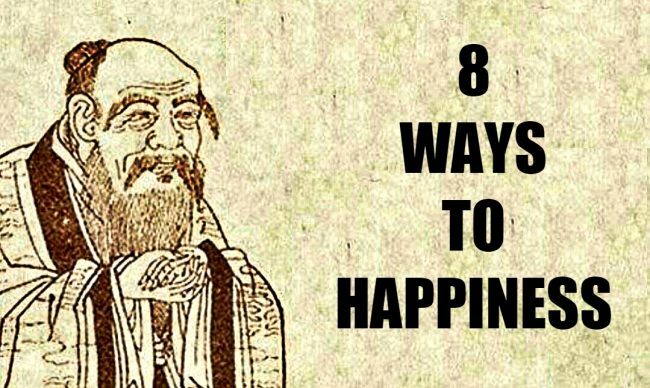 The Chinese ancient philosopher and founder of Taoism, Lao-Tzu, is a prominent figure in the Eastern philosophy, and nowadays, there are about half a billion of followers of his teachings. “Little is truly known about the Chinese philosopher Lao Tzu (sometimes also known as Laozi or Lao Tze), who is a guiding figure in Daoism (also translated as Taoism), a still popular spiritual practice. He is said to have been a record keeper in the court of the central Chinese Zhou Dynasty in the 6th century B.C., and an older contemporary of Confucius. This could be true, but he may also have been entirely mythical—much like Homer in Western culture. It is certainly very unlikely that (as some legends say) he was conceived when his mother saw a falling star, or was born an old man with very long earlobes – or lived 990 years. Lao Tzu is said to have tired of life in the Zhou court as it grew increasingly morally corrupt. So he left and rode on a water buffalo to the western border of the Chinese empire. This great mind believed that our strength and well-being lay in our happiness, and we all need to learn to rule our heart if we want to succeed in life. If a man cannot cherish happiness, he will constantly struggle in life. 1. Live life in simplicity, patience, and compassion. Living a simple life is a virtue, and complexity only brings worries and frustration. Be patient, and you will find your inner peace. Be compassionate, and you will always receive more than you have given. People say that one speaks the most when he keeps silent. Very often, it is the smartest thing not to speak, but wisely learn the power of silence, as it is much louder than words. Our heart has all the answers we need, and when you learn to listen to its voice, you will always know how to act in life. Traveling without a strict schedule or plan is much more exciting than you ever imagined. Enjoy your journeys and get the most out of the experience, without limiting yourself. You will be surprised to discover your final destination! 5. Have a joyful soul. A joyful soul creates music and emits frequencies that make the universe sing with you. Everyone around you will love your happiness, and the pleasant vibes you send can heal their sufferings. 6. Wait for the right action to take. There is a perfect moment for every single situation in life, so learn to wait, listen, and take action at the right moment. There are situations in life when we feel that we deserve more, and the rudeness of others can easily hurt us. Yet, remember that it has nothing to do with you, but it speaks volumes about their personalities. Always find the strength to rise up, and you will remain happy, as you have no guilt that tortures your soul. 8. Never expect something in return. If you can, always do good to others, but it should not be determined by what you can receive from them. Do not expect praise, and you will never lose anything.